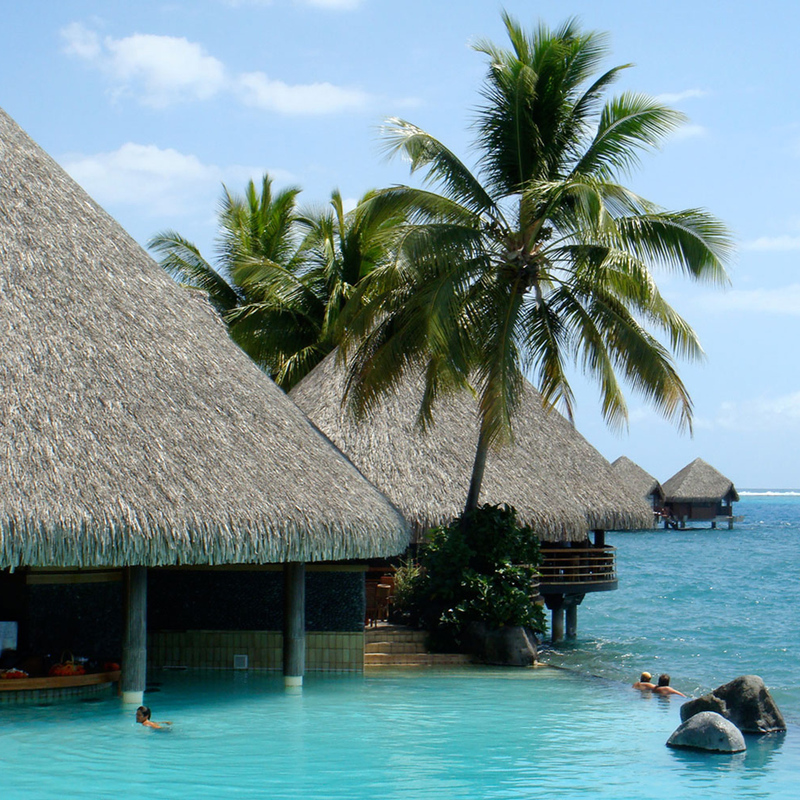 We've already shown you the world's coolest plunge pools and stunning stretches of undiscovered beach. 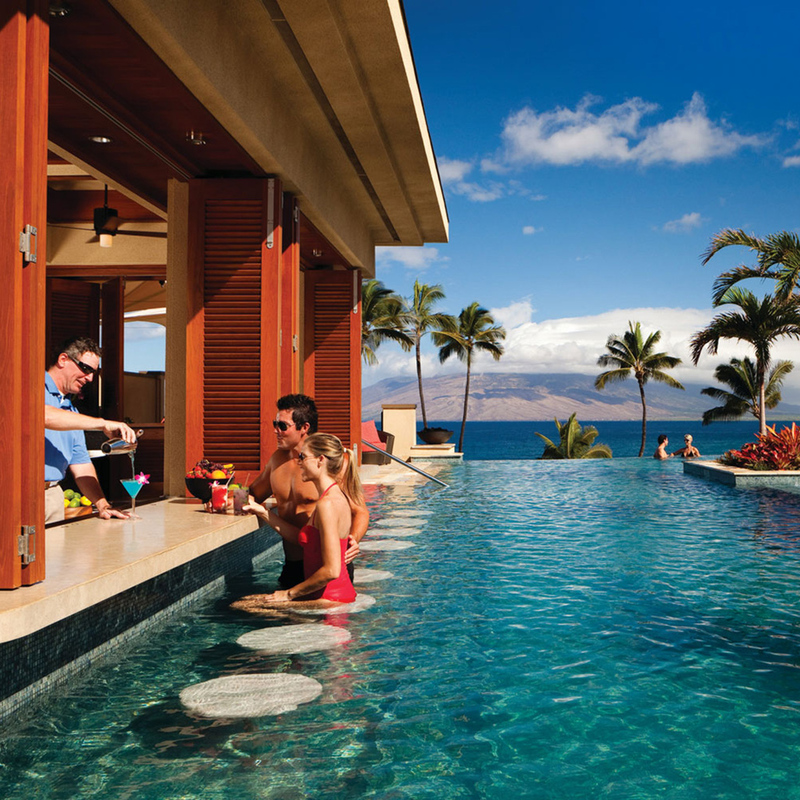 Now, imagine never having to leave those warm blue waters for your next cocktail. That, my friends, is true luxury. 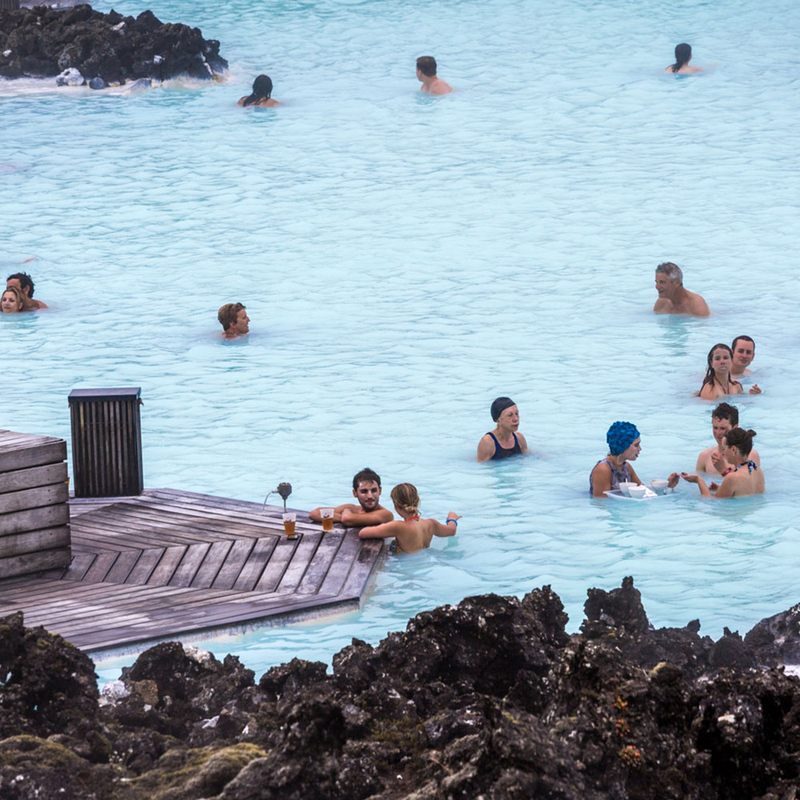 Whether you want to order a cool blue slushie at Iceland’s Lagoon Bar, play a hand of blackjack at Tropicana in Las Vegas, or indulge in some outrageously fresh seafood on a rock in the Indian Ocean: these awesome swim-up bars are destinations in their own right. Dunes, mangroves, and freshwater lagoons are the backdrop behind the Reflections Pool Bar, where guests can swim-up for fruity Mexican cocktails and homemade, oversized ice cream bars in bold flavors like coconut-lemon and black forest. While enjoying a restorative dip in this dazzlingly turquoise geothermal pool (averaging temperatures of a balmy 100°F), swim up to the Lagoon Bar and order a cool slushie or signature cocktail, likes the goblet-sized Into the Blue, made with raspberry Bacardi, blue curacao, lime, and fresh blueberries. Thanks to convenient electronic wristbands, you can pay on the spot. 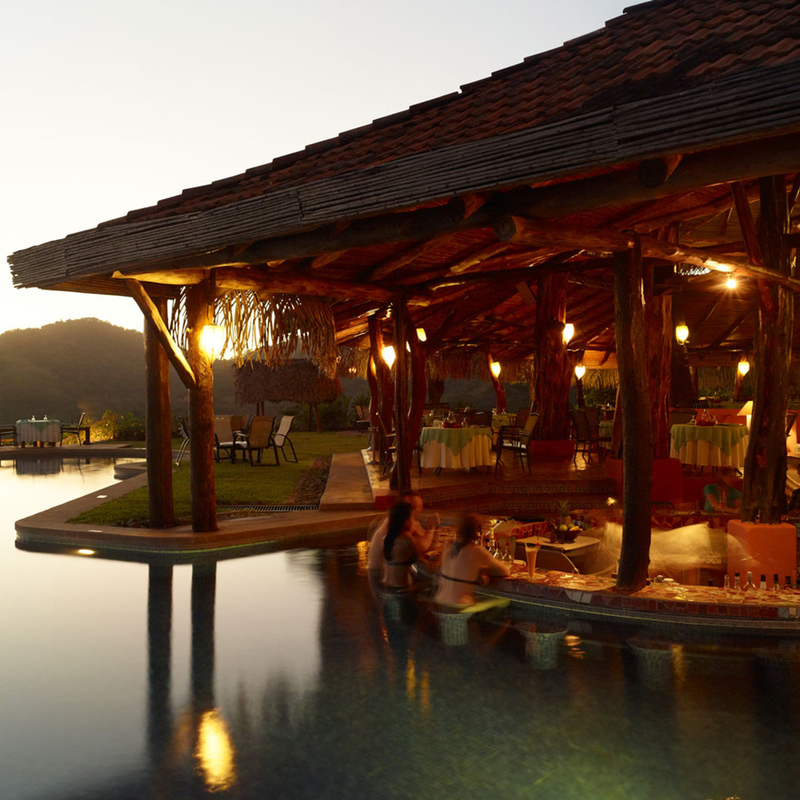 On one side of this free-form, infinity-edge pool is a panoramic view of the Guanacaste coastline and wild tropical forests. The other side boasts Harry’s swim-up bar and recently expanded sun decks. Order the Morena Mía for local sugarcane liquor, fresh lime juice, raw sugar, cinnamon, and a sugarcane stick garnish. This vacation property, tucked between the Atlantic and White Point Swash, distracts guests from the ocean views with the temperate waters of the three-acre Caribbean-themed pool complex. 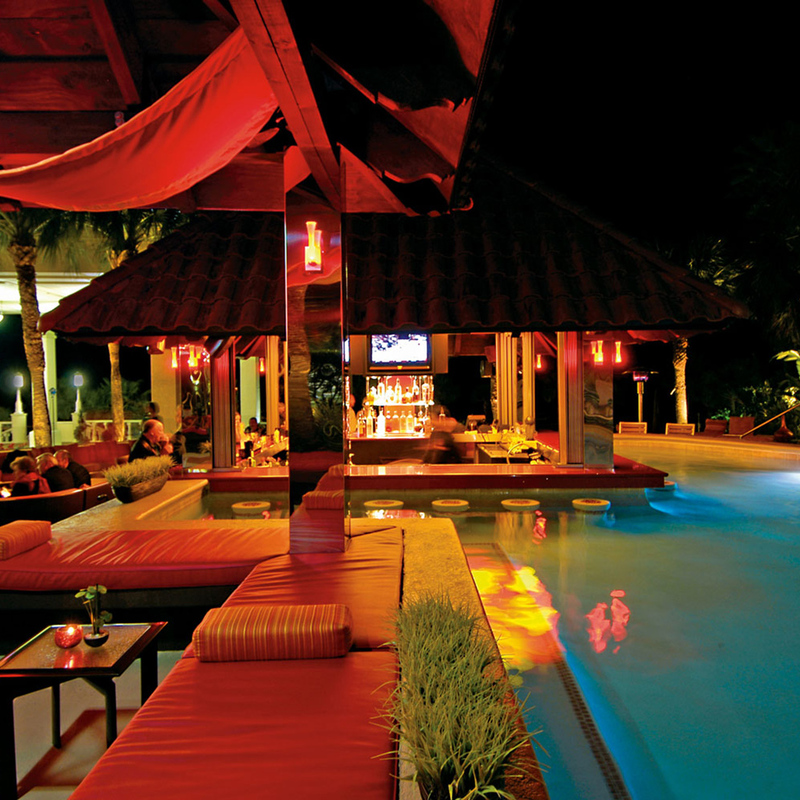 Visit the central pool for drinks at the swim-up bar. 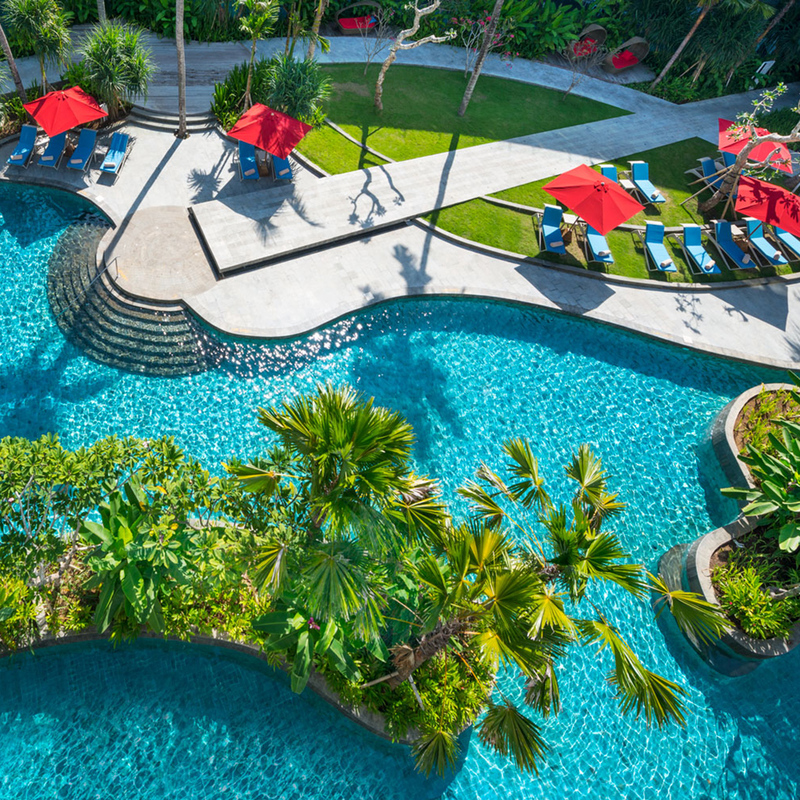 No matter how pleasurable it is beneath the surface of the adults-only Serenity Pool, which features underwater music and glittering glass mosaics, eventually, you’ll need to come up for air. Swim up to the freestanding swim-up bars, and take your drink to one of the poolside casabellas: attendants are on hand to clean your sunglasses, cool you off with Evian spritzers, cucumber slices, and oshiboris-scented towels, and serve freeze pops. After restoring—and improving—the property post-Hurricane Odile, Esperanza reopened in June with a new ceviche bar and chic poolside cabanas. What hasn’t changed? 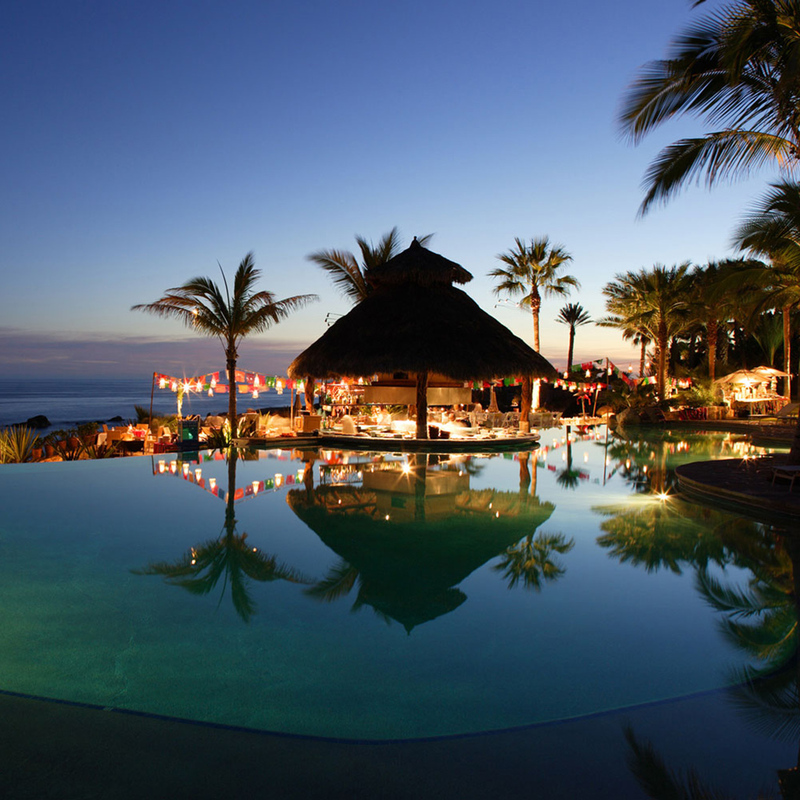 The amazing Mexican cuisine (mahi mahi ceviche, tuna al pastor tacos) served at La Palapa, the restaurant, exhibition kitchen, and swim-up bar attached to the pool, with perfect views of the Sea of Cortez. 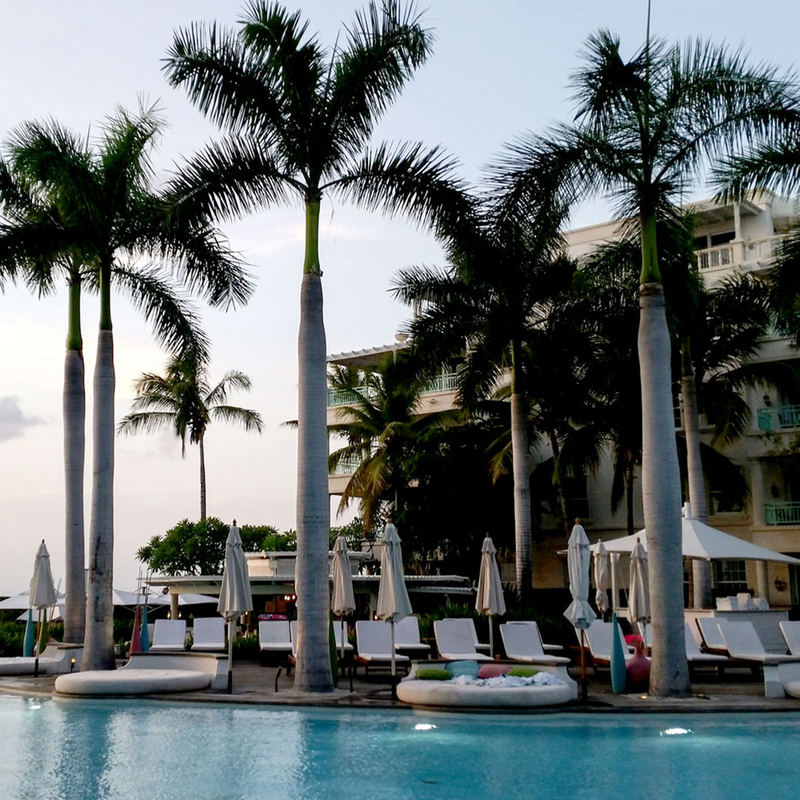 This resort’s crown jewel is the serpentine infinity pool at its center, where guests can swim-up to Plunge, the pool bar, and enjoy Caribbean-inspired cocktails and snacks. In-water banquettes and a sunken dining terrace are improved only by the nearby waterfalls, gardens, and views of Grace Bay. Meander on a floating bed across the saltwater lagoon to the sleek swim-up bar, where guests mingle and sip craft cocktails. 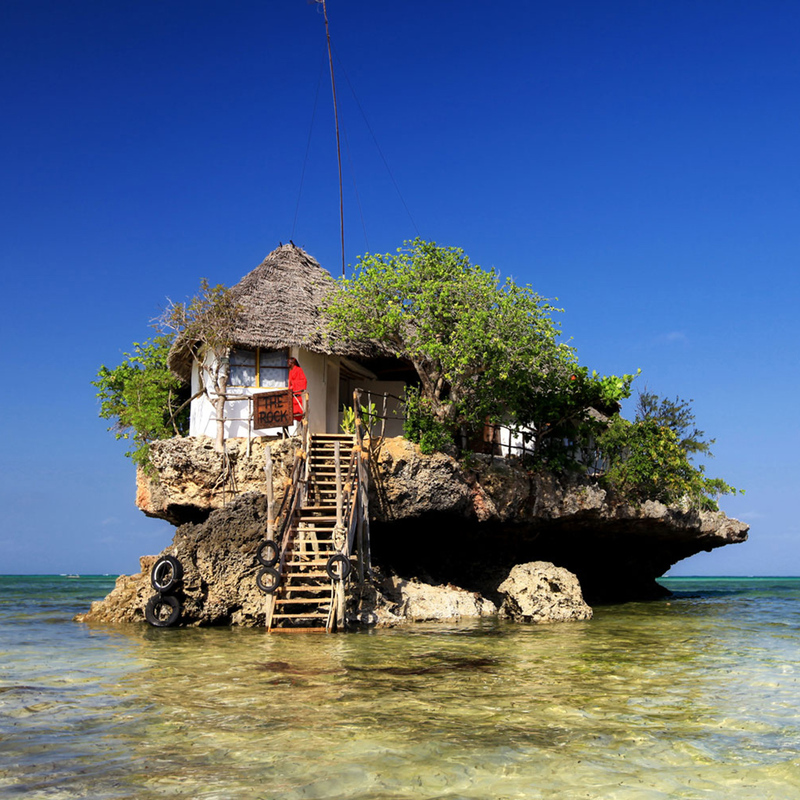 During high tide, guests reach this restaurant and bar by boat or by a strong swimming stroke. Panoramic views of the Indian Ocean are the main draw, though the seafood-centric menu (squid with queen prawns marinated in coconut, octopus salad with potatoes, cashews, and tomatoes) doesn’t hurt, either. 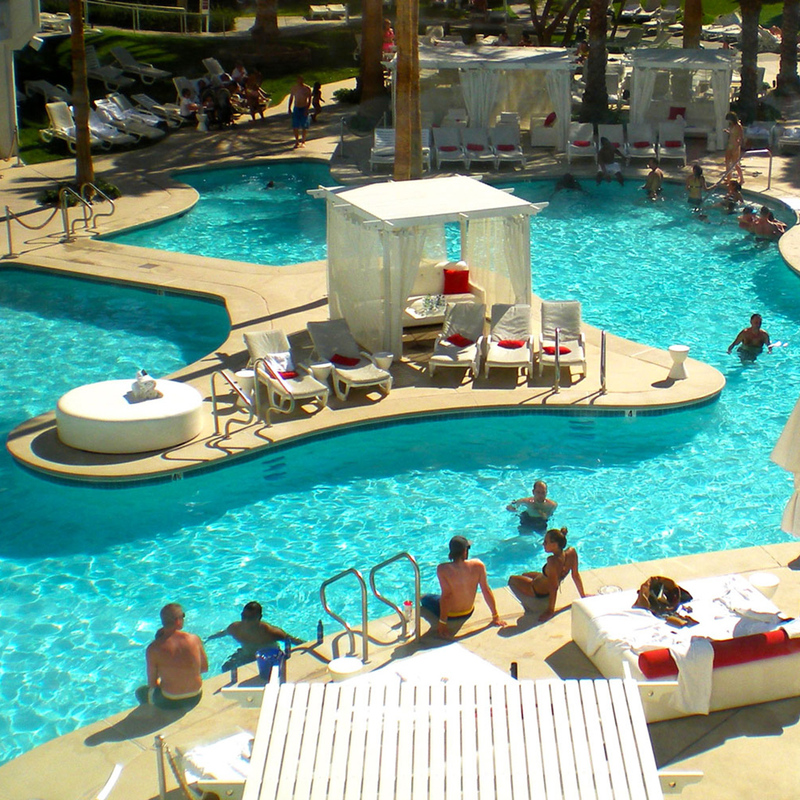 Like Sin City itself, everything at the Tropicana is larger than life: the 12,000 square-foot Tropicana pool is set on nearly two acres of land, and the swim-up bar is reserved for high-rollers. Only those ready to put their chips in for a game of blackjack can grab one of the coveted 12 seats. 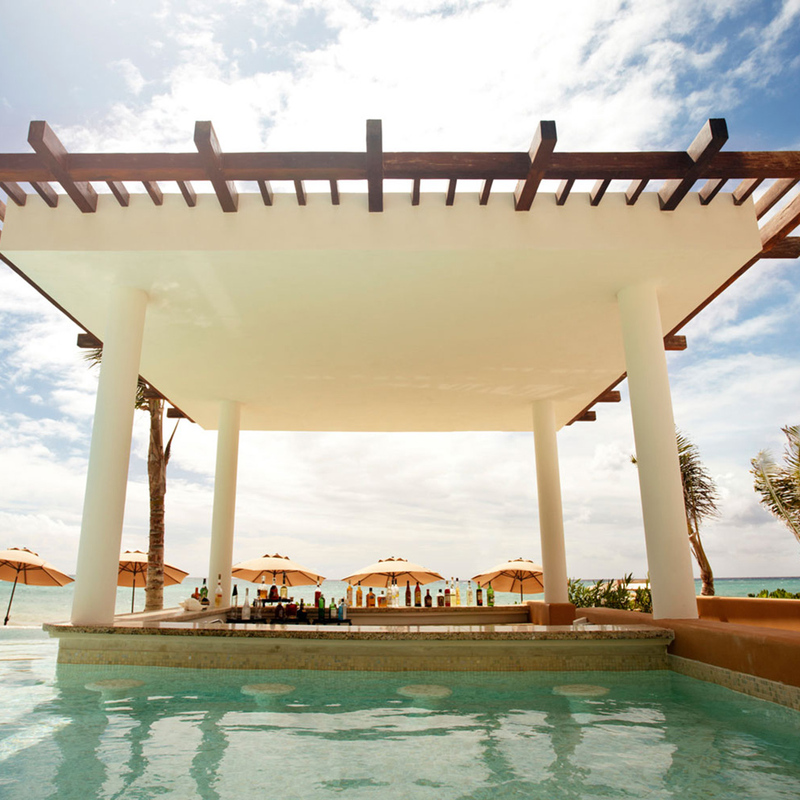 The partially submerged Lotus Bar rises up from the aquamarine waters of the nearly 6,500-square-foot sand-bottomed pool. Float over for a tropical sip to enjoy while watching the sun as it sets over nearby Moorea. 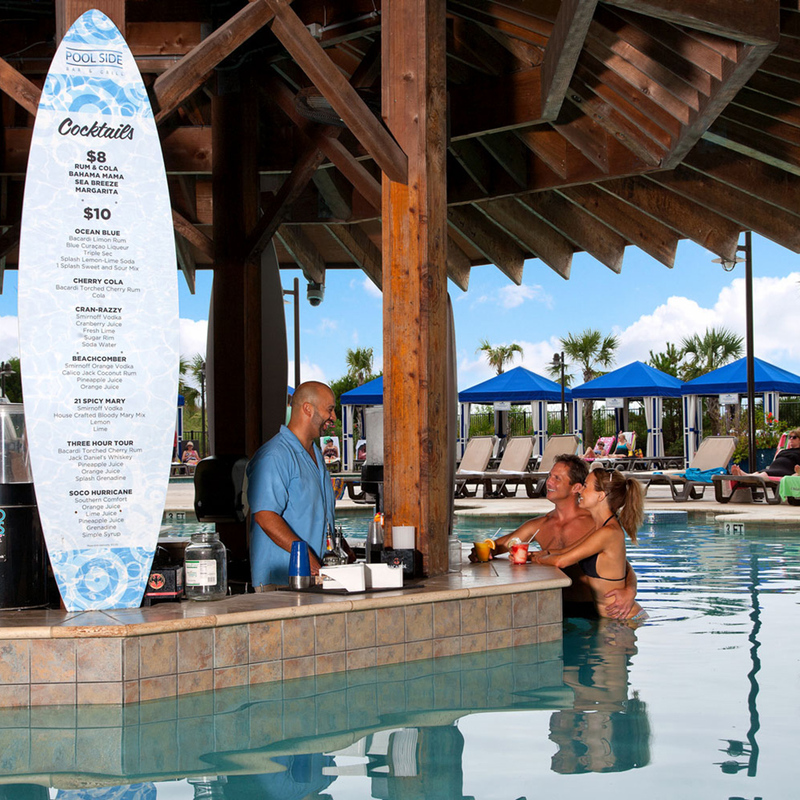 Happy hour, from 5 to 9 p.m. Sundays through Thursdays, is the time to elbow up to the H20 Pool Bar at this Galveston, Texas resort and spa. Poolside cabanas (equipped with lounge chairs and flat screen TVs) are the place to enjoy your Gulf views when your fingers start to get pruny.